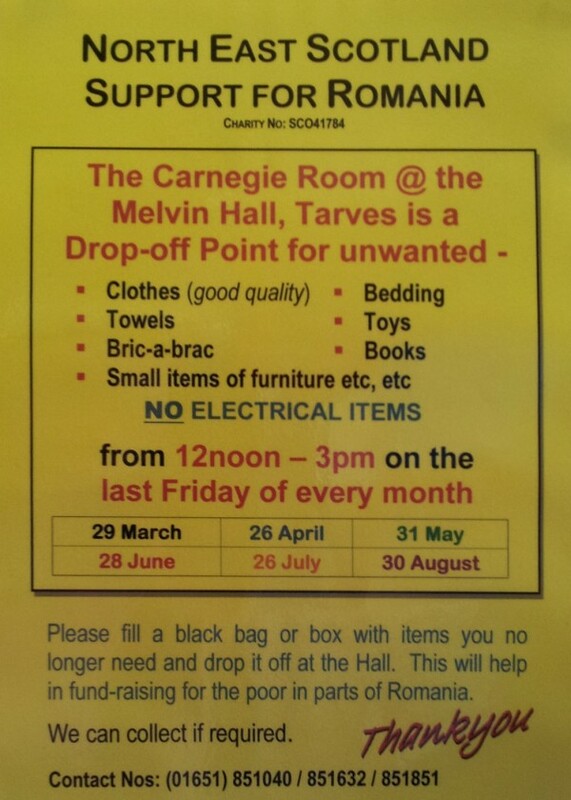 Drop off unwanted items for re-use at Tarves, Melvin Hall. In aid of ‘Support for Romania’ organised by Tarves Kirk members. Previous Previous post: Christain Aid thanks Tarves. Next Next post: Playgroup Thank you!